Thelma er en romantisk overnaturlig thriller om en ung kvinne som i møte med kjærligheten oppdager at hun har skremmende og uforklarlige krefter. 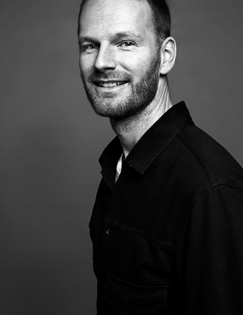 JOACHIM TRIER (b. 1974) has received international recognition both for his feature film debut Reprise (2006) and his sophomoric feature Oslo, August 31st (2011). Known for existential, yet accessible character studies and weaving between dreamscapes and reality, Trier has been hailed as ”sensationally talented“ (New York Times). Selected for the Cannes Official Selection - Un Certain Regard - in 2011, as well as Toronto, Sundance, and numerous other festivals, Oslo, August 31st has also received many awards. Last year, it was nominated for the César award for Best Foreign Film 2013, after reaching over 160.000 admissions at theatres in France. Joachim started filmmaking in 1995, writing and directing several short films, which won a dozen international prizes, while he was attending film school in Denmark and The National Film & TV School, England.